﻿ sort := 981 img := resource/covers/mnc019.jpg title := Confidence artist := Memum artistlink := memum catalog := mnc019 summary := It is an intimate collection of the first beams of sunlight after a dark winter nestled and still under a wool blanket. 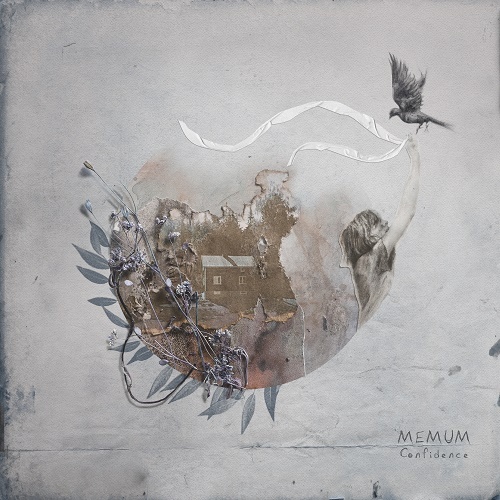 text := "Confidence" is the second album from producer and multi-instrumentalist David Georgos (DE) aka Memum. Conceptually a continuation from his first critically acclaimed album "Became a Leaf", it also draws threads from his earlier record "Awakine" which was released under the moniker Locoto. "Confidence" embodies the spirit of ambient composition by taking crystal clear and precise tones and melodies, and setting them into a drift of natural rhythms and textures. What unfurls is a musical examination of the delicacy and grace of plant life, a constant source of inspiration for Georgos who continually gravitates to the quiet life and natural landscapes. The seed for this earthy collection of songs was sown in an old wooden house in Finland, surrounded by a wild garden, apple trees and groves of towering dark green spruce. The silent fields and subdued landscapes created the bed from which the album grew. Georgos worked with four singers on Confidence, Erin Lang, Anne Garner, Fairaand Anna Marjamäki. Georgos and Langare frequent collaborators and play together in the art-pop band Foundling. Georgos knew that Lang’s breathy and enchanting voice would be the perfect compliment to the album’s folky dream-pop opener Aalto, which takes it’s name from the Finnish word for wave. Anne Garner’s voice embodies a rare kind of sincerity on Timedrift, managing to convey strength and vulnerability in the same breath. For Komoriuta, Faira’s vocal virtuosity and solid melodic sensibility create a detachment that contrasts the plucky fuzzy piano tape loops and the song becomes almost a call and answer between the singer and song-bed. Though Illuminate began as an experiment winding together Anna Marjamäki’s vocal fragments with samples of Georgos’ own voice, what grew out was a mystic choral, almost Gregorian dreamscape. Within the intricately woven nest of the voices, the guitar and piano, the field recordings creating the subtle impressions of rushing water, horse drawn carriages and cats purring, Confidence becomes an intimate collection of the first beams of sunlight after a dark winter nestled and still under a wool blanket. It is a reverence for spring, revealing the warmth of life in waiting and winding roots deep into a memory of solid earth.